Top models are teaming up with Tiffany & Co. for a good cause. The luxury jeweler recently launched the #KnotOnMyPlanet campaign to raise money and awareness in order to end elephant poaching. Model Doutzen Kroes leads the black and white shots which also star Raquel Zimmermann, Imaan Hammam, Constance jablonski, Fernanda Ly, Mica Arganaraz, Julia Nobis and Frederikke Sofie. Daniel Jacksoncaptured the campaign with styling by Alastair McKimm. In each shot, the girls wear a special elephant pendant made of 18k gold. The Tiffany campaign was made in order to inspire donations to the Elephant Crisis Fund. Supermodel Lily Aldridge, described as the Mediterranean Renaissance beauty that embodies the magnetism of the luxury Roman jeweller, is now also the face (and muse) of Bulgari for the next two years, and they have kicked off this partnership with a new ad campaign lensed by famed photographer Mario Testino. For someone who’s a bit of a snob when it comes to watches (preferably classically beautiful from a good brand, and best if it is already an icon in its own right), seeing people who wear smartwatches always elicits looks of bewilderment from me. Which are then followed by the same 3 questions that will almost always run through my mind. Why would you need one when you already do everything on the smartphone you own? Won’t a smartwatch just duplicate everything anyway? 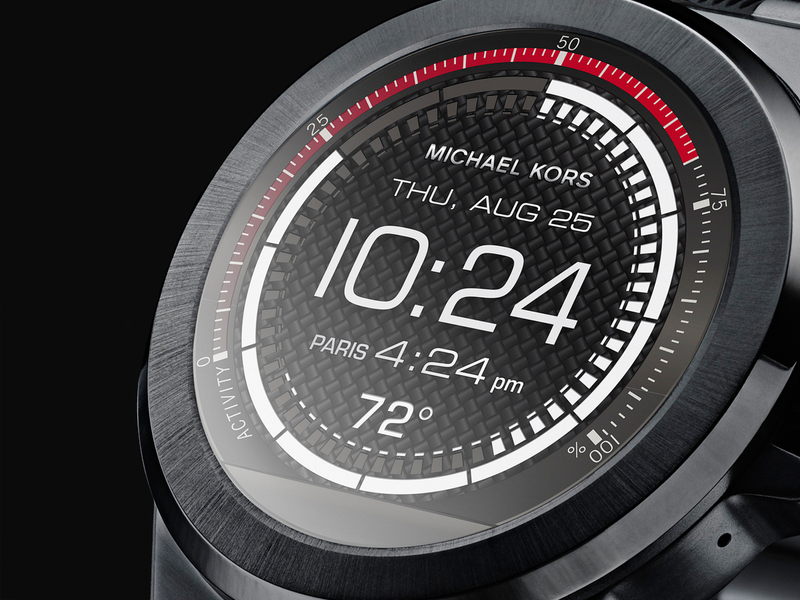 And for goodness sake, why is your smartwatch so ugly? Which is also why for the longest time, I’ve never thought about getting myself one, because, what’s the point, right? 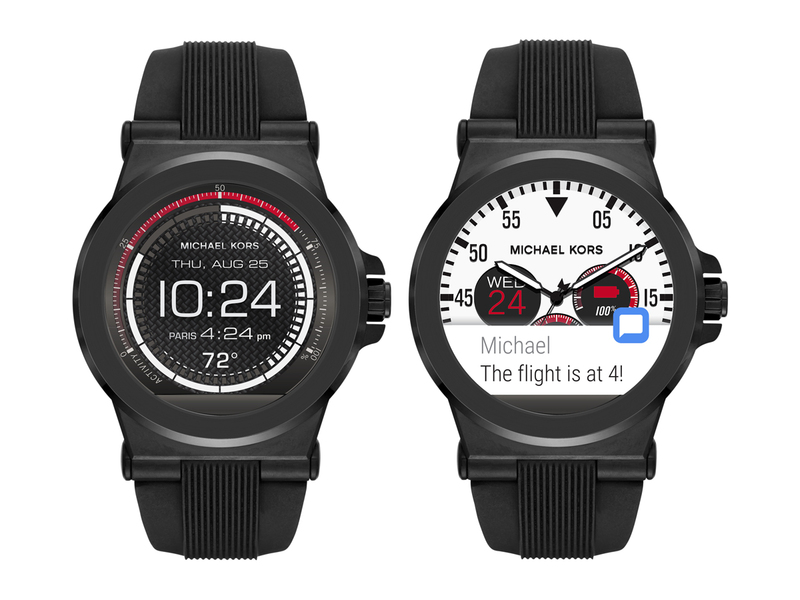 All that was set to change when I was tasked to try out (and review) Michael Kors’ very first smartwatch, the Dylan. For one thing, it’s pretty good looking, a 46 mm stainless steel case in matte black attached to a thick silicone strap that’s not only sporty but feels snug on the wrist as well. In other words, it falls into the category of chunky, manly watches that I personally like. So that’s one hurdle down. So why would you need an additional gadget when your smartphone already does everything, right? For one thing, and here’s the fun part, you can change the watch’s face as many times as you like, all with a simple swipe to the left. 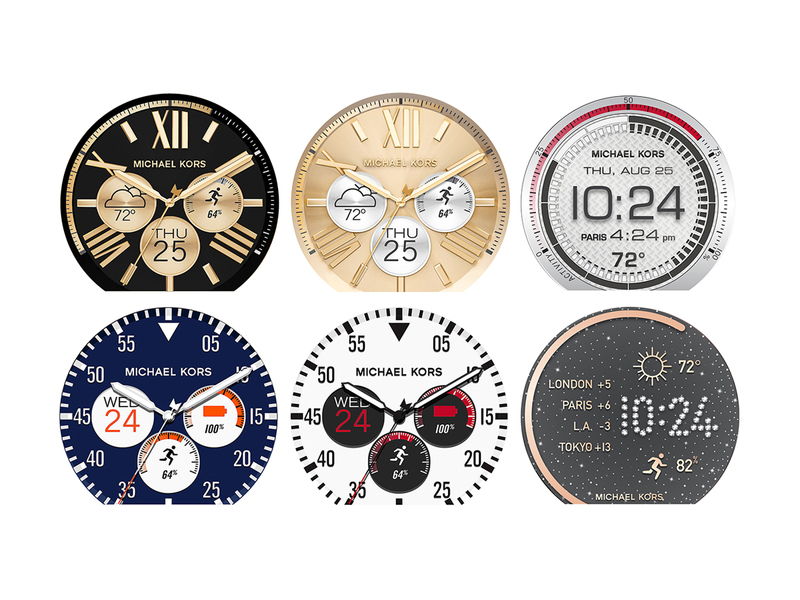 At last count, there were at least 15 different faces on my smartwatch, and it allowed me to go from classic roman numerals to flashy digital, and even have glitz running down my wrist. Ok, maybe not the last one, but you know what I mean. And that’s not all. You can also choose to add on additional features to your smartwatch’s face, like a 2nd time zone, a fitness tracker (Google Fit™) and even the weather, so everything is literally there when you glance down at the watch. There’s no need to open additional apps (as you would on your smartphone), which makes it even more convenient. Then there’s also the connectivity bit. Say you’re in a serious work meeting and looking at your smartphone will be frowned on but you still want to know how many likes your latest Instagram pic is receiving. Well, the Dylan smartwatch will show you that (albeit discreetly, of course), along with incoming calls, WhatsApp notifications, Facebook updates, the list just goes on and on. You just have to decide what’s most important and customise it as you see fit. Powered by Android Wear™, you can even ‘Ask Google’ to search something for you online because it’s wirelessly connected to your smartphone via Bluetooth, and it works well on both Apple and Android phones, so no worries there. In other words, this smartwatch isn’t going to duplicate anything, but instead it’s going to be an extension of your fast-loving lifestyle that requires you to be on top of everything without being constantly chained to your smartphone. Yes, I know how ironic that sounds, but having this baby on my wrist really means checking my own smartphone much less, and actually for the first time in a long time, allowed me to put it away inside my bag and freed my hands to do the more important things in life, like eating, exercising and shopping with both hands. Priced at SGD590, you can pick up the Michael Kors Access Dylansmartwatch at Michael Kors boutiques, as well as selected department stores. And if you prefer something with a little more bling, there’s also the Bradshaw smartwatch that comes in colours like Gold and Rose Gold, with full stainless steel bracelets that even Carrie won’t be able to resist. After officially launching at Net-a-Porter earlier this year, Tiffany & Co’s ’T’ Collection gets an update for the season. Inspired by New York City energy and creativity, the range includes rings, bracelets, earrings and necklaces each with a distinctive T signature. Modern yet classic, these jewelry pieces are perfect to wear with everything from a sweater and jeans to cocktail-ready dresses. Check out more from Tiffany & Co.